Leaked documents came to light this week showing Viridor don’t like the current plan and want longer opening hours and fewer noise restrictions. The leaked documents came out the same day we had a demonstration planned outside the South London Waste Partnership meeting at Croydon Town Hall. 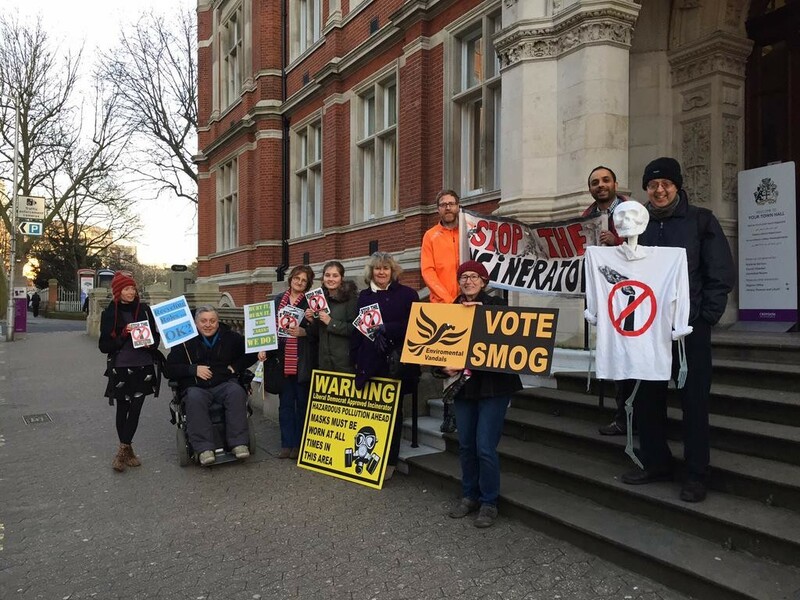 They SLWP represent Croydon, Merton, Kingston and Sutton and on the whole support the South London Incinerator. You can watch the video of what happened below. Part 1 shows the police doing some gentle dissuading, in Part 2 (2mins 29secs) you can hear Stuart Collins explain why there is nothing he can do about the incinerator and in Part 3 (4 mins 16 secs) we attempt to ask the committee about the incinerator. You can read about how the press reported the meeting here and what the council eventually said about the leaked documents here.